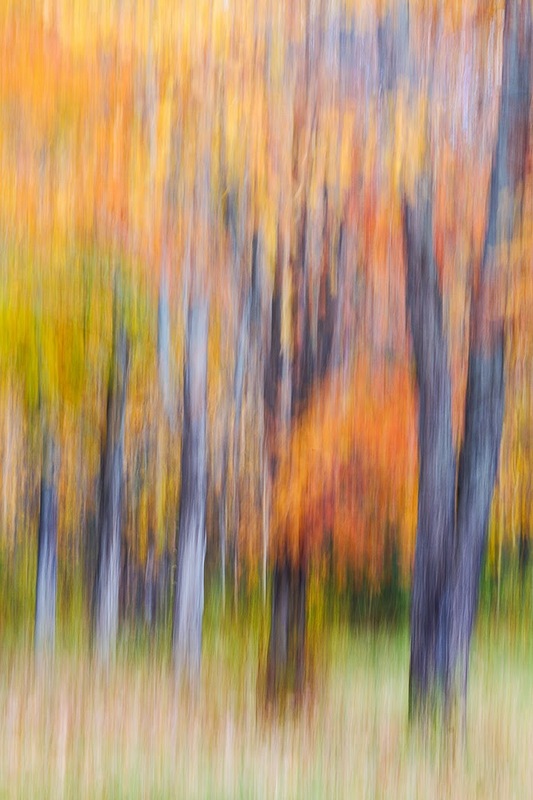 Motion blur of fall trees lining a rural Adirondack lane. 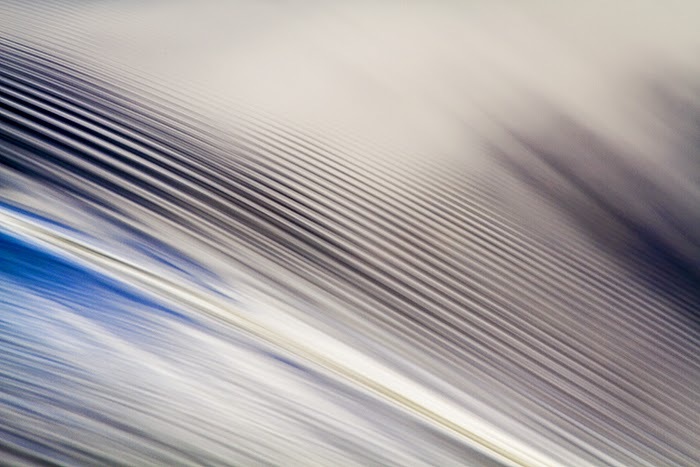 In addition to the more literal/documentary nature photographs that I take, I enjoy creating abstract images of the amazing patterns and colors found in the natural world. Sometimes these photographs are still mostly documentary in nature, just focusing down on the details to a point where you lose reference points for what you're looking at. Other times, I creatively combine settings on the camera (usually shutter speeds) and motion in the natural world or my own motion to capture time and movement in a way that captures something beyond the static moment. I especially love these movement abstracts, as they are usually unique works of art, that you can never capture in quite the same way again. 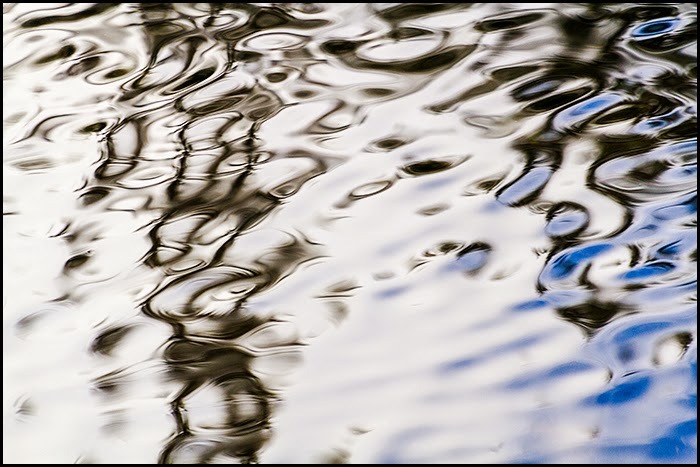 Though I may be awed by the beauty, complexity, and grandeur that nature offers up to me, I'm never having quite as much fun as when I'm photographing abstracts. My creative juices are always flowing at their fullest. It's an invitation to play. Particularly with digital technology where you can get immediate feedback, creating abstracts is an invitation to create, and fail, and then create again using what you have learned. 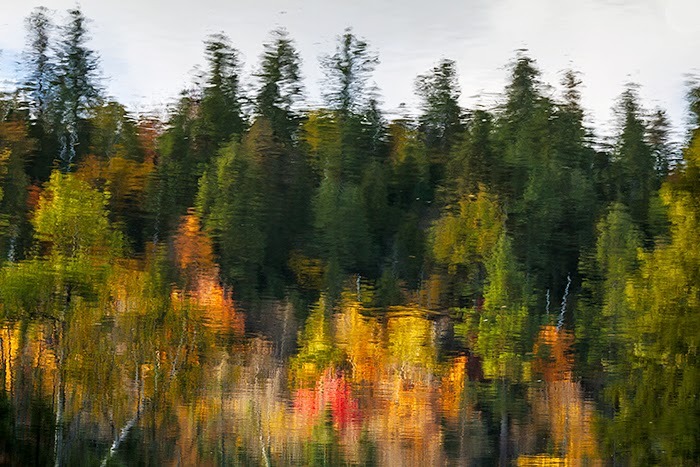 Below are a few more abstracts from my trip to the Adirondacks. I'll post another set in the coming week. Reflections at the top of Monument Falls on the Ausable River northeast of Lake Placid. 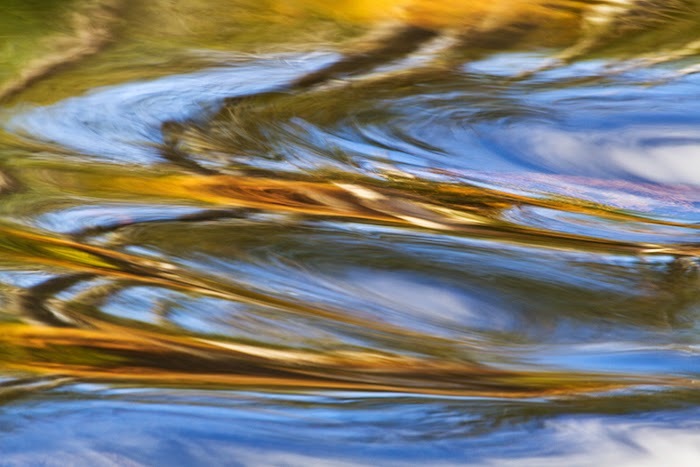 Reflection in the Ausable River of trees and fall foliage on the bank. Another reflection at the top of Monument Falls on the Ausable River. Reflections in the Ausable River just outside of Lake Placid.